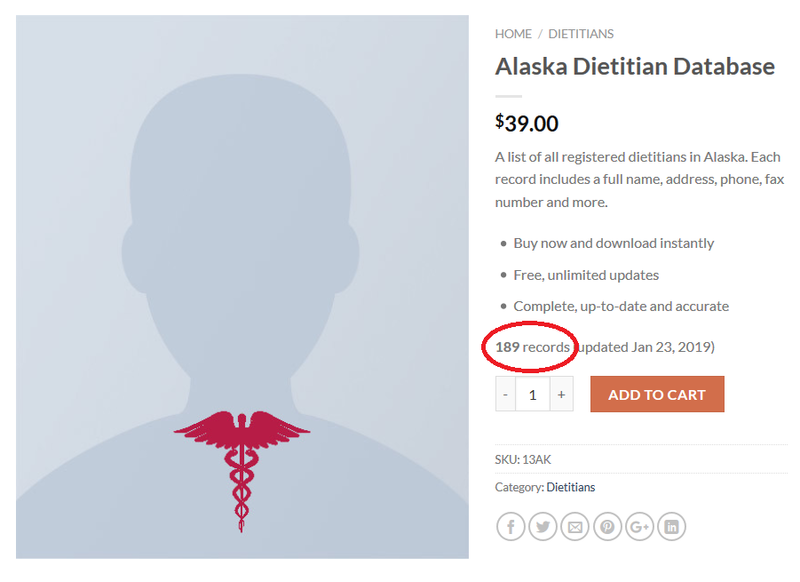 This month we have rolled out another product line in response to many requests from our customers to provide dietitian databases by state and national (complete US database of dietitians). You may be wondering how many registered dietitians in the US there are. Each database product is updated monthly by synchronizing with the national registry provided by the appropriate federal agency (the same place dietitians and nutritionists register to obtain their license). At the end of each product description you will find specifics about subspecialities for a given database of dietitians. Included professions are Dietary Managers, Dietetic Technicians, Registered Dietitians, and Nutritionists. If you have any questions or need a custom list generated based on a taxonomy code don’t hesitate to ask. Otherwise, happy downloading!